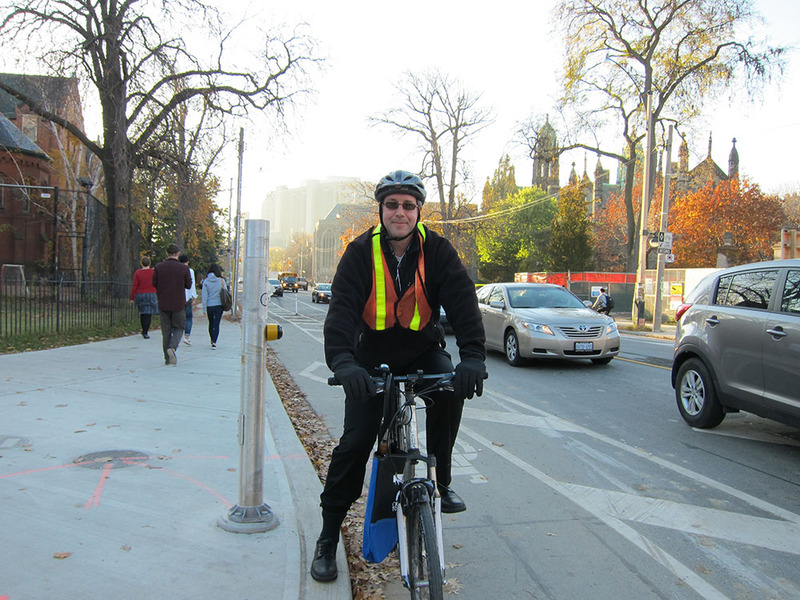 Bike Spotting Hoskin and Queen’s Park: How do you like the new protected bike lane? 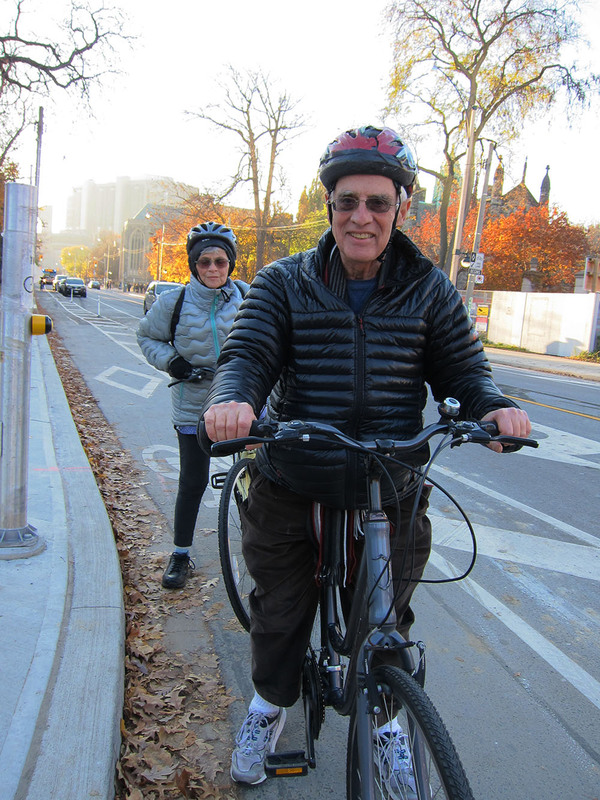 We went bike spotting at the newly separated lanes on Hoskin east of St. George and asked cyclists what they thought of the improvements. The Montréal-style lane has cyclists riding closest to the curb with places where cars can park to the left of the bike lane. Many of the cyclists we spoke to were happy with the lane upgrade, and some had reservations over how much safer it really is. 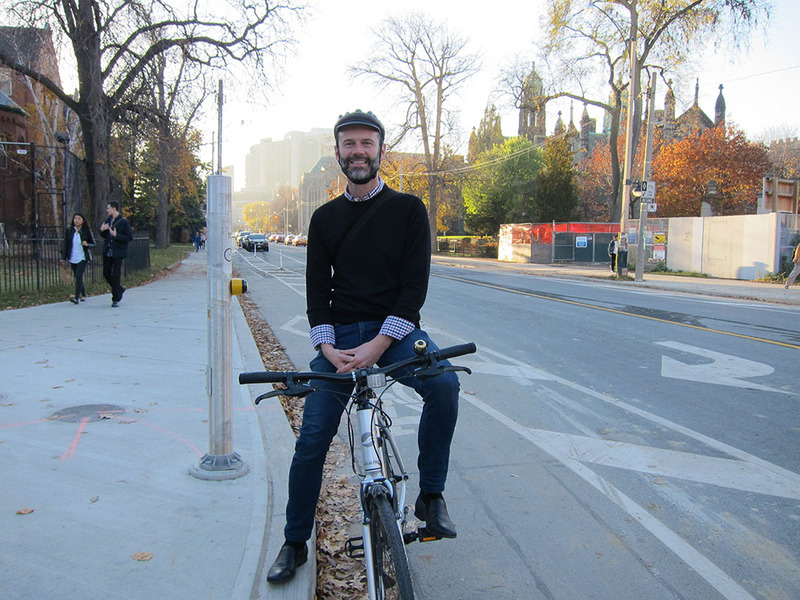 Read what the cyclists we spoke to think of riding in the improved bike lane. It's good, I like it. But someone brought up the point that if there's something blocking these kinds of bike lanes then the cyclist can't escape very easily. I like the Sherbourne lane, and I used to bike there a lot for my commute. But if there's a car parked in there, you're trapped. I do love these lanes being built, the Hoskin ones are well-designed, the divisions are far enough apart, no one will get seriously injured just by hitting one of these things. I prefer these types of separations as opposed to the full curb that goes around some bike lanes. Yeah, they just put these in recently. It's different, I'm not used to it. I don't feel any safer, it's weird that the cars aren't moving on the left side. I'm worried that someone might open their door at me. I think I'll get used to it though. I definitely like the protected part of the lane, I don't have to worry about getting sideswiped as much. They're good, I have to say these protected lanes make it better. I bike here often. Dan's cycling partner chimes in: "We wouldn't bike here if there weren't lanes." It's alright, I hadn't even noticed it's a protected lane. I'm more of the vehicular cycling school, so I don't need bike lanes. If they're there that's great, but I ride everywhere. I'm ready for anything. I'm alright with how the Hoskin lane connects to Queen's Park, right now I'm trying to get through Queen's Park. 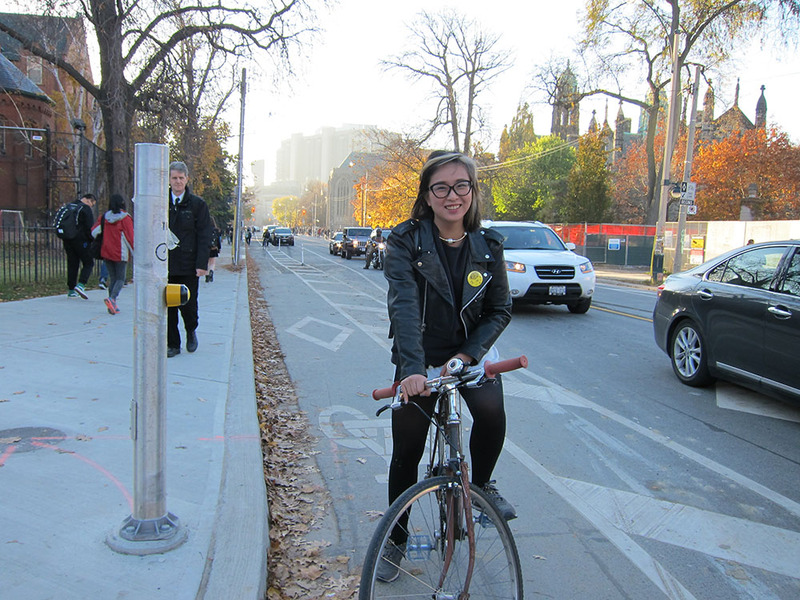 I didn't even know that the new bike lane around Queen's Park existed. 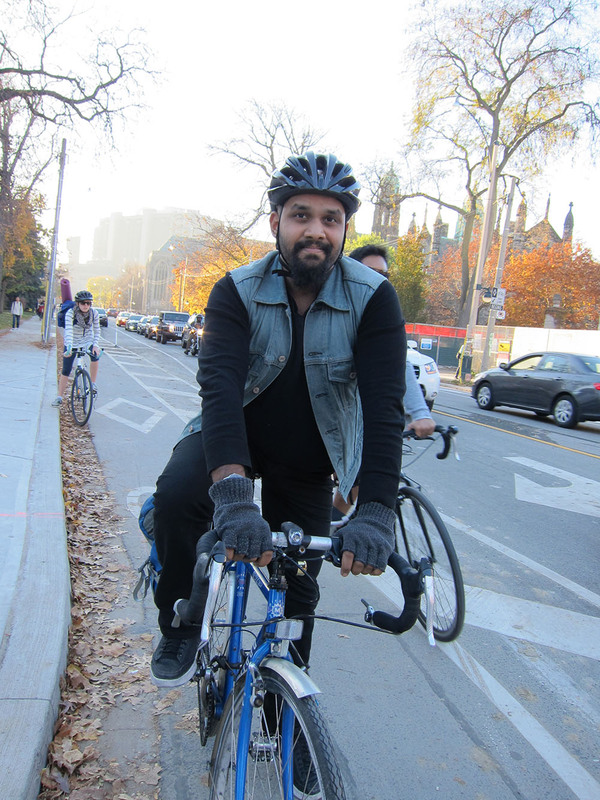 Bike spotting at St. George and Hoskin: Is Bike Policy an important part of your vote? Bike spotting on Jarvis: should a bike lane be reinstalled here? Bike spotting: What do you think of the new Richmond bike lane?